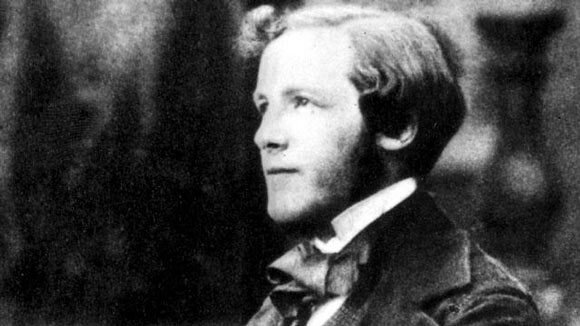 James Clerk Maxwell, a Scottish Physicist, was born in Edinburgh on June 13th, 1831. He was the only child to John Clerk, his father, who also was a lawyer by profession and mother, Frances, his first teacher. The Clerk family moved to Glenlair, but James returned to Edinburg to pursue his education. His health issues kept him away from being regular to school but despite that he was excellent academically. His first ever achievement was at the age of 15 when his first research papers “A Mathematical Analysis Involving the Eclipse” was published. He graduated with a degree in mathematics from Trinity College, Cambridge and soon after started his career as a Professor of Physics in Marischal College, Aberdeen. He then switched to King’s College, London and then at Cambridge as the first ever Professor of Experimental Physics. James Clerk Maxwell was a very curious man and this curiosity led him to the most significant discovery of our age – the theory of electromagnetism. He wanted to present electricity in its simplest form. His formulation of electricity and magnetism that derives the formulas known as “Maxwell Equations”, we use today, were published in “A Treatise on Electricity and Magnetism”, (1873). In his scientific legacy also falls the Color analysis for which he was awarded the Rumford Medal on The Theory of Color Vision. He was the one who laid the foundation of the practical color photography. His inquisitiveness also led him to develop the Kinetic Theory of Gases. His studies on this concept escorted him to recommend Maxwell demon paradox in 1867. The theory states that the molecules at high temperature have only a high probability of moving toward those at low temperature. This new approach did not reject the earlier studies of thermodynamics; rather, it used a better theory of the basis of thermodynamics to explain these observations and experiments. Prior to all this, his first ever and much debatable contribution to science was the study on the planet Saturn’s ring. A large amount of his work was based on the work of Michael Faraday. He was also referred to as Man of Sciences, Man of God and The Information Philosopher. When a person at Cambridge mentioned to Einstein that he “stood on Newton’s shoulders,” he replied “No, I stand on Maxwell’s shoulders”. Einstein, at another occasion, also said “The special theory of relativity owes its origins to Maxwell’s equation of the electromagnetic field. He was and still is well regarded by almost all the scientists. His contributions played a quintessential role in the advancements made in the 20th century. The impact of Maxwell’s work has been gigantic on fields such as thermodynamics, communication, space exploration, rheology (the interpretation of the flow behavior of substances), photography, engineering, mathematics and nuclear energy. He made fundamental contributions in the development of theories that have enabled us to lead a step ahead. He died on November 5th, 1879 from abdominal cancer. It was just 9 years after his death that Heinrich Hertz proved that electromagnetic waves can travel through space, exactly as Maxwell had predicted mathematically years earlier (Tolstoy, 1981). In a short span of just 48 years James Clerk Maxwell left behind legacies that are still being used in the physics classrooms today. Maxwell’s original house, now a museum, is the site of the James Clerk Maxwell Foundation whose objective is to give a platform to all the mathematicians, scientists and engineers from all parts of the world to meet in seminars, symposia, workshops and courses.